I am really pleased to welcome Danielle Maisano to The Writer is a Lonely Hunter. She is also a Victorina Press author with a debut novel The Ardent Witness to be released on 9 March 2019. It is available to purchase here. Danielle Maisano’s The Ardent Witness is a character-driven novel set in Togo where the exuberance and camaraderie between young volunteers is shared and in Detroit (before and after the placement) where Lily’s personal development is explored. I particularly enjoyed the chapters set in Togo which included the frustrations, challenges and triumphs of trying to make a difference to the lives of people in a developing country. When tragedy hits, Lily reflects upon her own actions and her resolve to make a success of her placement is strengthened. This is a worthy debut novel. Thank you to Danielle for introducing me to Togo, a country I knew very little about. And now, here is Danielle who has agreed to answer a few questions. Why did you decide to write a book, Danielle? I moved to London to study International Relations at the School of Oriental and African Studies and as I was becoming more educated in things like historical materialism, dependency theory and heterodox economic models a lot of what I experienced in Togo was beginning to make more sense to me. So I wanted to find a way to write about what I was learning theoretically in a more human form, connecting it to what I had experienced as a development worker by writing a novel. 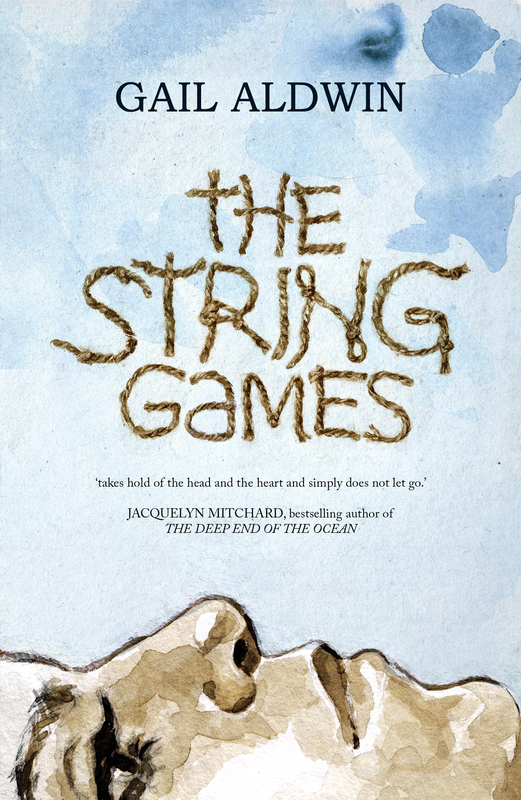 The narrator, Lily, is constantly looking for ways to do something meaningful with her life. She is young and idealistic and believes that she can make a difference in the world but she is struggling to find a way to do so. I don’t want to give too much away, but in the end I think she chooses a path that sort of embodies this sentiment. To be an ardent witness. It is both active and passive at the same time. To have a passion for life, morals, an ethical code, to want to do good, but at the same time to accept the fact that you may not always have the ability to change things, to right every injustice. But there is a power in seeing and sharing what you have seen. I think that, in a sense, is the duty and desire of every writer, artist, or poet. It’s what drives them to create. Do you have a day job? If so, how does working in a different context affect your writing? When I started seriously writing the book, I had just finished my studies at SOAS and I was looking for work so I had a lot of time to write. Then, in the year that followed I did an internship at an NGO, which was part-time. I worked in a coffee shop and also did a bit of freelance writing. So my schedule was much more flexible than doing a 9-5 job and that was really when I completed most of the first draft. When I finally did find a full-time job at a homeless charity in North London, that was a very unproductive time in regards to the book. Luckily, after about a year there, my husband and I decided to take off and spend some time with my family in the US and then his family in Chile. We were gone for about 8 months and that was an amazing time because I was able to really focus on nothing else but the book. If I hadn’t had that time I would probably still be writing it. Working 9-5 thing is very difficult when you are also trying to do something creative. But then, when I was looking for work, I also had a lot of guilt that I had so much time to write when I should be working or looking for work. Chile was different because that time had been specifically set aside to write and I was very fortunate to have had that, plus a very encouraging and supportive partner. Since returning to London, I’ve been able to do part-time and freelance work which I find the most conducive to writing but I realize it’s really a privilege to be able to have that option, one I still sometimes feel very undeserving of. But then again, I guess there will always be reasons or excuses not to write and half of the job is overcoming them. Are the names of characters important to you? How did you choose them? Well, a lot of the names of American characters were just names that were always floating in my head, like Sonia and Lily. They were always sort of these archetypical characters that I had named some time ago that were waiting to pop up in my writing. The names for the Togolese characters were more sentimental. Like the character of Fati, there was a little girl that lived near me, she was only about one or two years old when I moved there and her name was Fatima and everyone called her Fati. Her brother brought her over almost every day, we played together and she would cry when it was time to leave. She was the sweetest little girl and I will always wonder what her life is like now. I wonder if she remembers me? Am I some weird sort of memory to her? Also the name Gladys, there was a young girl I knew who was from Ghana and I could see she was very isolated and alone and some of the other girls made fun of her for not speaking French well and I felt a sort of connection to her. We were both outsiders. So in the book, there is a connection there. What were the challenges in writing The Ardent Witness? Basically the main challenge was just to keep going. Having the confidence to finish what I started and believe that no matter what came of it, it was worth doing. I think that was the hardest part in the end. What’s next for you, Danielle? I think I may have started writing my next novel. I guess only time will tell. You can find out more about Danielle by visiting her website. You can also find her on Twitter and Facebook. While I’ve been away in Cornwall on a retreat in Port Isaac with three writing friends, plenty has been happening on the promotional front for Paisley Shirt. First there was a lovely review on Frost Magazine for Paisley Shirt. Click on the image to read this. Then there was an interview on Tracy Baines’ blog. Here I talk about the distinctive nature of flash fiction. On Wednesday there was an article in the Dorset Echo about Paisley Shirt reaching the long list in the Best Short Story Collection category of the Saboteur Awards 2018. I was very pleased to find my collection alongside work by Tom Vowler, Tania Hershman and other notable writers. There’s still time to vote for the short listed titles here. I also discovered that Paisley Shirt has been purchased by Dorset Libraries as part of their lending stock and is now available for loan in Poole, Bathnes, Bristol, North Somerset, Somerset and South Gloucestershire libraries through Libraries West. Quite a week and I’m now exhausted by all the activity. Hope you have a good weekend. I’m on Chandler’s Ford Today with Allisons Symes chatting about characters, writing goals and the Dorset Writers’ Network. Allison is a fellow Chapeltown Books author. Don’t the collections look splendid displayed together? I’m pleased to join fellow Chapeltown author, Mandy Huggins, on Troutie McFish Tales today. You can read about my experience of writing about place and how I create characters. Do pop over and have a read. 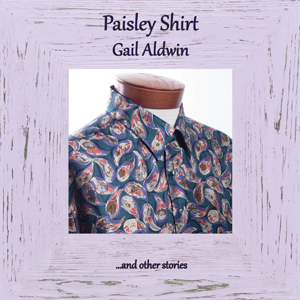 If you’d like to purchase a copy of Paisley Shirt and you live in Dorset, Serendip in Lyme Regis and The Swanage Bookshop hold copies and I’m in negotiations with Gullivers in Wimborne, The Book Shop in Bridport and Waterstones in Dorchester to stock Paisley Shirt, too. You can also find Paisley Shirt in October Books, Southampton. For those who prefer ordering online, Amazon continues to show an ‘out of stock’ message so try ordering through the Book Depository or another online retailer such as Waterstones. Any good bookshop will be able to order a copy if you quote the ISBN 9781910542293. How did I source a publisher? What do I love about flash fiction? What are my other writing projects? Tracy Fells at The Literary Pig invited me to share some of my writing experiences. Do pop over and have a read. Click here.